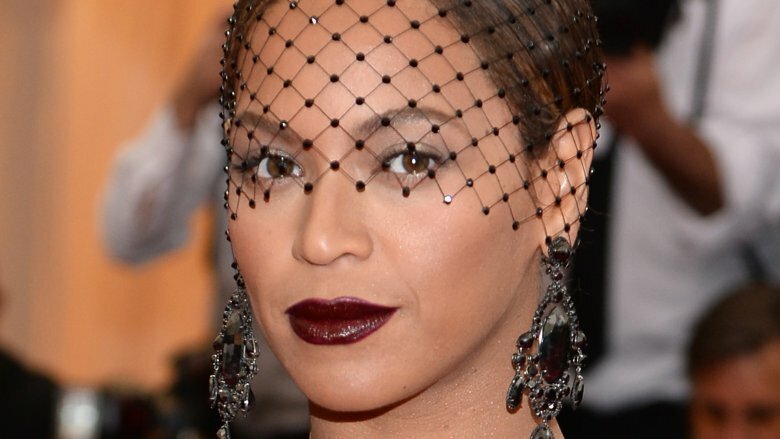 Beyoncé's life appears to be an enigma. There's the professional side as an international songstress who belts out "leave him, girl" anthems with some help from her alter ego, Sasha Fierce. And then, there's her private life, which has been shrouded in controversy, including husband Jay-Z's infidelity and allegations that she hasn't always been truthful about her songwriting process. Rather than addressing the scandals head on, the Lemonade artist remains mum, which leads to even more unanswered questions. 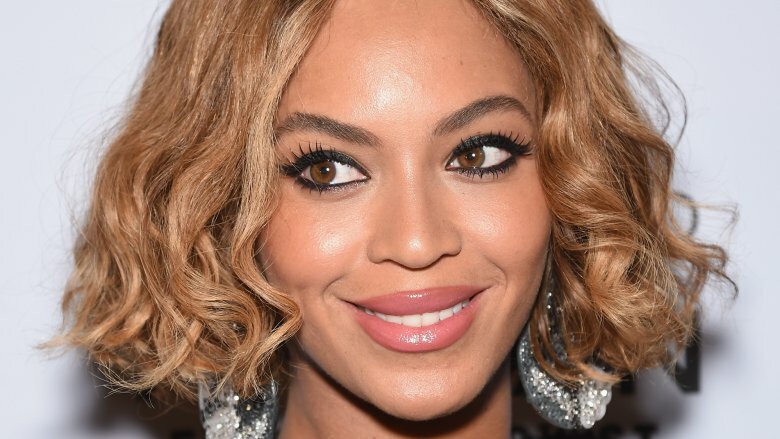 Let's dig deeper and explore the double life of Beyoncé. Many music lovers are drawn to Beyoncé because of her songs that promote female empowerment. Her lyrics give off a vibe that she can do with or without a man in her life. This self-proclaimed "black Bill Gates in the making" is not about to settle for less. In 2006 her hit song Irreplaceable had every woman singing, "I can have another you in a minute, matter of fact, he'll be here in a minute, baby," and she didn't stop there. In 2017, the singer released a music video in celebration of International Day of the Girl, which included girls from all corners of the globe singing and dancing to her song "Freedom." 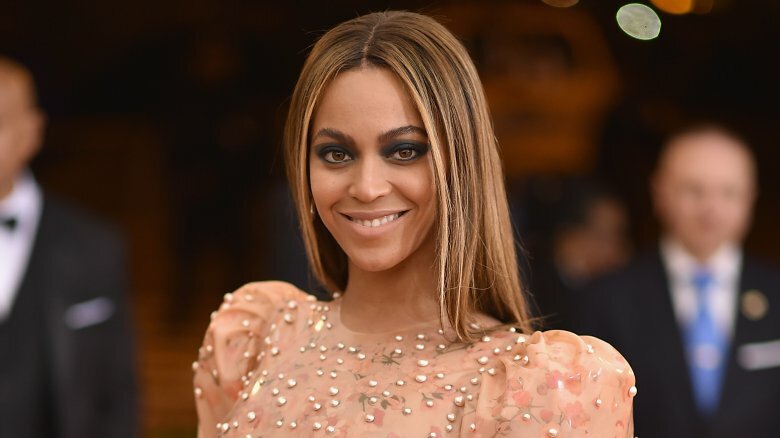 While some celebs overlook the impact they have on their fans, Bey seems to embrace her power and the platform she can utilize to express her goals, her ideas on self-love, and her unwavering support to help build women up in all aspects of their lives. Infidelity allegations have plagued Beyoncé's marriage, and she appeared to address the controversy in her 2016 visual album Lemonade. 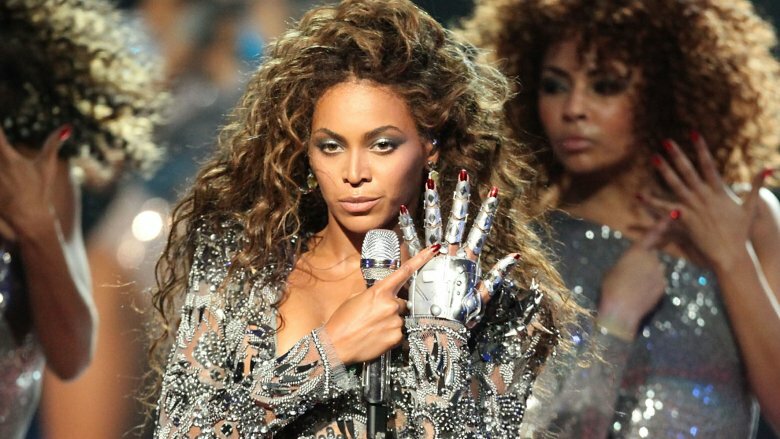 In her scathing track, "Sorry," she not only blasts her husband's alleged mistress, whom she refers to as "Becky with the good hair," but also seems to bid him adieu, singing, "Middle fingers up put them hands high/ Wave it in his face, tell him, boy, bye." When Jay-Z released his 4:44 album in 2017, the rumors about his infidelity were all but confirmed. He told The New York Times his relationship troubles were rooted in his deep-seeded inability to connect to women emotionally. "In my case, like it's, it's deep. 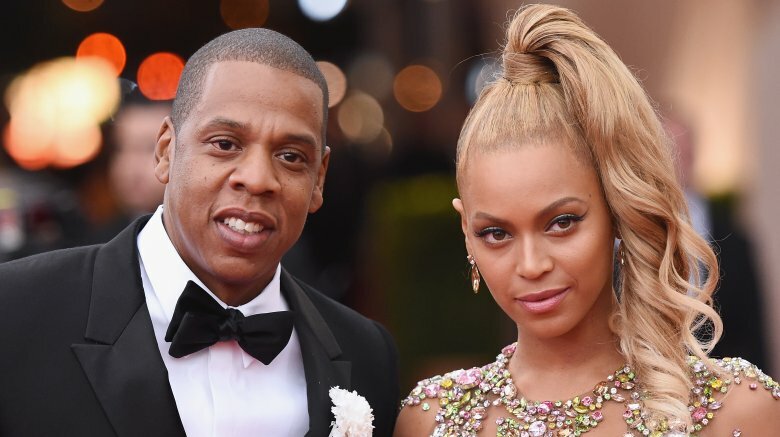 And then all the things happen from there: infidelity…"
Despite Jay-Z's admissions and Beyoncé's fiercely independent musical persona, it doesn't look like she'll be waving goodbye to her husband anytime soon. She's the queen of keeping her private life private. When she refused to conduct a feature interview with the iconic fashion magazine Vogue in 2015, she becoming the first woman in at least five years to do so, according to The Huffington Post. 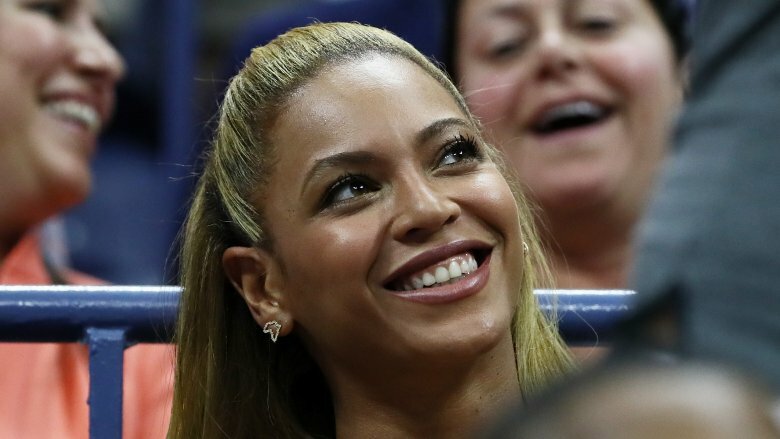 Vogue journalist Jason Gay once wrote that "an audience with Beyoncé can be as challenging to schedule as a tennis match with the pope. As early as 2005, Queen B was outlining her reclusive approach to super-stardom, telling The Oprah Show, "It's really hard to have privacy. Sometimes, it gets a little overwhelming, but I now have learned to take time for myself, and I know my limits." She then detailed her plans to take a vacation annually and take days off every couple weeks. Despite craving privacy, Beyoncé has seemingly flip-flopped in terms of how much of her personal life she wants to share with the world. In 2012, she finally joined Instagram and began posting never-before-seen photos from her glamorous lifestyle on and off the stage. Her music also seems to have grown deeply personal. Lemonade was hailed as "the most vulnerable, raw, and artistic album that she has ever made," according to Politini Media CEO Danielle Moodie-Mills (via Elle). Though the project was considered highly biographical, Beyoncé deigned to directly confirm or deny her connection to its content. This tug of war — sharing bits of information and then retreating back into her shell — leaves us questioning her true intentions. Queen B is all about living a healthy lifestyle, and in 2011, she even lent a helping hand to former first lady Michelle Obama's Let's Move! campaign. The singer dropped a video of her and a cafeteria full of kids dancing to her hit song "Get Me Bodied." In 2015, she took her love for maintaining a healthy lifestyle a step further by partnering with her trainer, Marco Borges, for the 22 Days Nutrition vegan meal delivery service. The meal plan, along with strenuous workouts, was cited as the driving force behind the singer's svelte and toned body. "She is all about health and wellness," Borges told E! News. "She just wants to feel good." Beyoncé played songstress Deena Jones in the film adaptation of the Broadway musical Dreamgirls. To get ready for her role as a member of the 1960s soul group, Beyoncé not only studied her lines and dance moves, she also went to great lengths to ensure she looked like a dream onscreen. When the cast of the film appeared on an episode of The Oprah Show, Beyoncé revealed some shocking news about her new slimmed-down figure. "I figured in the '60s Twiggy was the hot model, and Diana [Ross] and Cher and all the legends were thinner than I am," she said, "so I decided I wanted to lose weight and make a physical transformation." That transformation reportedly involved a 14-day Master Cleanse, also known as the lemonade diet. The restrictive plan consists of chugging maple syrup, fresh squeezed lemon juice, and cayenne pepper to rid the body of toxins. However, research suggests that the rapid weight loss from consuming less than 1,200 calories a day can lead to a slow metabolism and even cardiac stress, according to Health.com. Promoting a fast is surely the antithesis of being a proponent of healthy eating habits, don't you think? When she wasn't spilling the tea about the struggles in her marriage, Beyonce's Lemonade was also promoting Black Girl Magic — a term used to celebrate the beauty, pride, and achievements of black women — through the albums words and imagery. 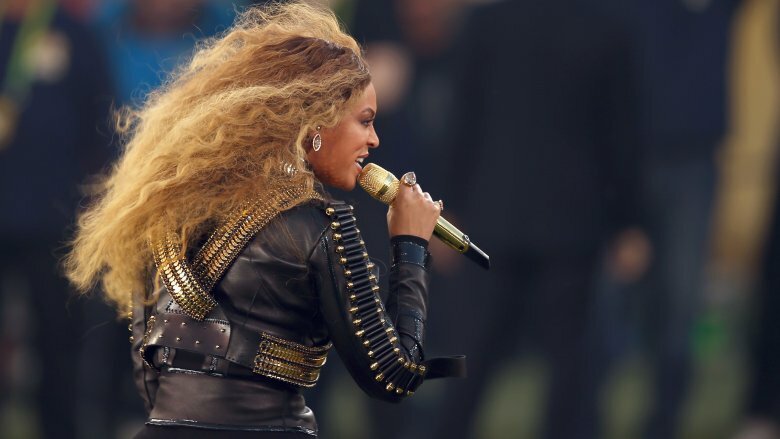 Prior to the project's release, Bey delivered a powerful performance steeped in black power references at the 2016 Super Bowl. She wore a military-inspired bodysuit and her backup dancers wore black berets — a nod to the Black Panthers. The troupe formed a letter "X" on the field in what appeared to be a visual ode to Malcolm X, and afterward, the dancers posed for a group photo with raised fists evocative of the Black Power movement. Her performance sparked meaningful conversations about race relations in America and put a spotlight on the Black Lives Matter movement. Discussions about police brutality against black Americans were also catalyzed thanks, in part, to her high-profile performance. In the early-2000s, the Latin sound had taken over the airwaves in the States. It seemed everyone was experimenting with Spanish language music, including Beyoncé. After the 2006 release of her super-successful hit "Irreplaceable," she released a Spanish-version of the track, called "Irreemplazable." She also teamed up with Colombian singer Shakira for "Beautiful Liar" and its Spanish counterpart, "Bello Embustero." But some people got the feeling that the singer's newfound love for the language went further than admiration, and she fanned the flames during an interview with Latina magazine in 2008. She talked about how much she enjoys singing in Spanish, but when asked what one thing she'd like to tell her Latina fans, Beyoncé dropped a bombshell. "I'm just jealous that I wasn't born Latina," she said. "I wish I had been because the culture is so beautiful. I'm very grateful Latinos are embracing me." Let's recap: there's nothing wrong with embracing other cultures, but we can't help but point out that her Latina envy directly contradicts her embrace of the aforementioned Black Girl Magic. There is obviously an insane amount of pressure for artists to write hit songs that top the charts, and Beyoncé confirmed as much in a 2005 interview with Vanity Fair. She told the magazine that "Crazy in Love," featuring Jay-Z, "was really hard to write, because there was so much going on. I let Columbia hear it with the rest of my album, and people liked it, but they didn't go crazy for it. I was so stressed, because I thought, I don't have a single. I mean, I had written—what?—seven, eight Number 1 songs with Destiny's Child, in a row. But I guess if you haven't written a Number 1 song in three months, you have to prove yourself again." She said Jay-Z came into the studio around 3 a.m. and laid down the finishing touches. "He had to be exhausted, I was exhausted. I don't know how he did this … He rapped on the song and he added a lot to the energy of it. It really completed the song." But does she steal credit from others? Beyoncé's honesty regarding her songwriting process was called into question when MTV News revealed "Crazy in Love" was actually the brainchild of a producer named Rich Harrison. Harrison said he had the track ready to go and was just waiting for the right artist to bring it to life. When he linked up with Beyoncé, she supposedly loved the sample and told him: "Now write the song. I'll be back in two hours." That's a very different version of events than the tale Beyoncé shared with Vanity Fair. 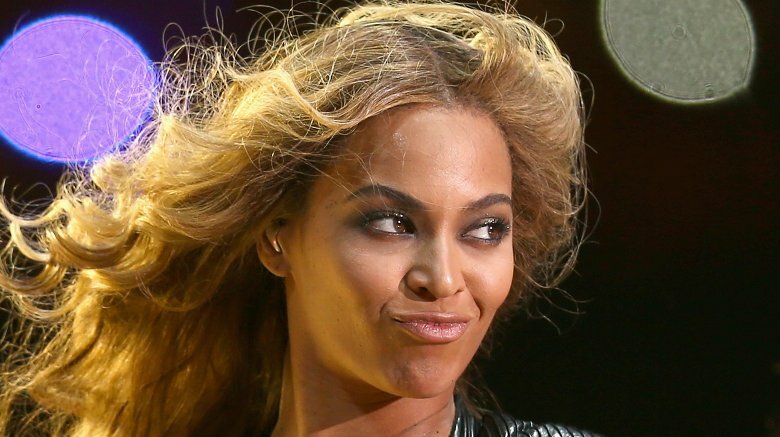 Beyoncé controversial crediting stretches beyond just her songwriting. Over the years, she's been accused of stealing the ideas for her maternity photos from rapper M.I.A. 's POWA video, copying Cirque du Soleil choreography in her "Formation" video, and ripping off Swiss artist Pipilotti Rist in her "Hold Up" video. In 2017, Business Insider, reported that Bey was "being sued for $20 million by the estate of a late internet star who's sampled" in "Formation." And the list goes on and on. 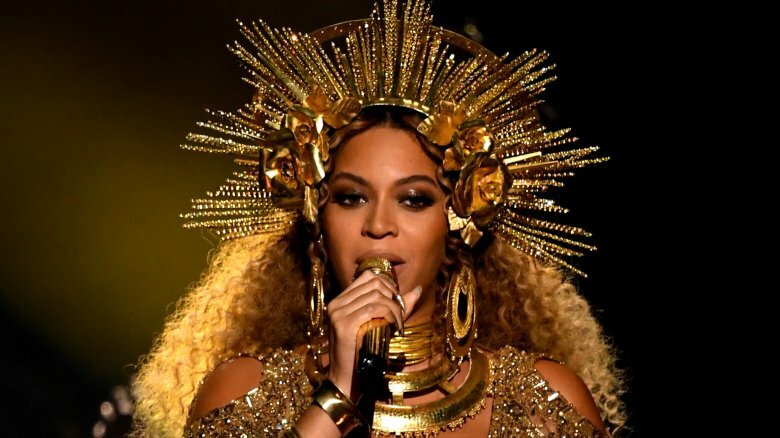 Clearly, plenty of people participate in everything Beyoncé produces, so it may be unreasonable to expect her to grasp the origins of everything connected to her name. That's true for most superstars, and yet Bey has attracted a lot of attention for allegedly mimicking other artists. Are these copycat moments intentional? Accidental? Coincidental? We're not sure, but they certainly adds to the complexity of her mysterious double life.